End Users, AHJs (Authority Having Jurisdiction) and Technicians seem to think that fire alarm strobes are required to continue flashing when the fire alarm control unit or panel is silenced. FACT #1: There is not and never has been anything in the code that requires the fire alarm visual notification appliances AKA Strobes to continue flashing once the fire alarm control panel has been silenced. FACT #2: NFPA 72 2013 Section 10.13.2: “When an occupant notification alarm signal deactivation means is actuated, both audible and visible notification appliances shall be simultaneously deactivated." So Why did we have Strobes Flashing when the Fire Alarm System has been Silenced? From what information I have been able to gather, this function crept into the minds of installers and inspectors sometime in the 1980's. The thought of having strobes continue flashing while firefighters validated the alarm condition was a plus. Firefighters could communicate via their radios without the loud distraction caused by the audible signal. Lastly, individuals looking to enter a facility would see the visual appliances flashing and know not to enter due to a potential threat of a fire. This is an argument that comes up less as time moves forward, however, some people are stuck on the ability to have strobes continue flashing during a fire alarm system silence. Please note that while NOT required by any code or standard, this can still be required within a particular building specification or City Ordinance. 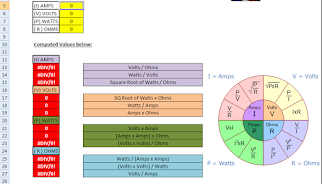 The function can be done by most manufacturers and is not hard to accomplish. However, it does not make sense to have it enabled and that is why you will not find it in any code references. Strobes where brought into the code for ADA adaptability. With that said, does it make sense to leave the strobes flashing if you silence the fire alarm? Ask yourself, "How is a deaf person affected by this feature?". When a fire alarm system is activated, a hearing impaired individual will see the strobes flashing but NOT hear the audible tone. Once the fire alarm panel has been silenced and the audible tone is cut off, this individual has no idea the fire department is on scene, the system as been silenced and the event is being investigated. To this individual there is still an active evacuation scenario in place until the fire alarm panel has been reset. Ask yourself, "How is a blind person affected by this feature?". When a fire alarm system is activated, a visually impaired individual will NOT see the strobes flashing but will hear the audible tone. If the fire alarm system is silenced and the audible tone is cut off, this individual will have no idea there is still a potential treat in the building. They could potentially return to their business when in fact there is an active fire alarm investigation occurring in their close proximity. Another point noted above was the ability for flashing strobes to notify individuals to not enter a building as it is being investigated for a fire. If you are blind, you would not be aware the fire alarm system is activated and under investigation. The blind individual could potentially walk right into harmful or fatal situation. In my mind this is why NFPA 72 2013 directly addresses this situation in section 10.13.2. If we agree to just cut off both audible and visual signals in the event of a system silence, we are not favoring or discriminating against anyone with or without a disability. Join our Facebook Group for up to the minute fire alarm system here. 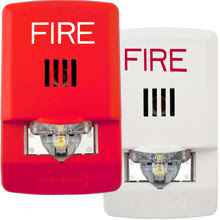 Have you freshened up on the newer fire alarm LED strobe technology? an experienced person can take control and use your personal data (address, date of birth ...).